When it comes to forming and running a business, few aspects are as important as accountancy. Proper management of a business’s finances is the key that opens up all kinds of doors when it comes to a company’s future development. In order to ensure that you give yourself and your business the best tools to prosper, a good accountant is the place you should start. With PolAccount LTD, you can count on the assistance of some of the most competent accountants in Mitcham. We can help you every step of the way, from company formations, to more specific matters such as tax returns, VAT returns, and more. With some of the most competent Mitcham-based accountancy teams around, we can help any business not only set up, but also thrive in this competitive market place and secure a steady position for the future. Whatever trials await your company, you can always be sure that your finances are managed responsibly with PolAccount LTD’s accountants in Mitcham. Company formation is an issue that may be quite streamlined in the UK as it is, but it’s only if it’s handled professionally, with the aid of experienced individuals, that company formation can be made truly fruitful. As one of Mitcham’s leading company formation experts, PolAccount LTD is the best place to go if you want to set up a business in Mitcham, no matter how big or small. Thanks to our competent input, you can ensure that you have a good start on the market, and that your company’s documentation, forms, etc. are all handled with the proper amount of attention, being registered at Companies House and the HMRC within a moment’s notice. PolAccount LTD can help your Mitcham company get a head start! Taxes are an inevitable part of any company’s operations. Handling them on your own can be quite a challenge, and the consequences for making errors in this regard can be quite crippling. It’s for this reason that it’s a good idea to let a professional handle it for you. With PolAccount LTD, you have access to some of the best tax accountants in Mitcham, providing you with valuable help in handling your tax returns, VAT returns, as well as many other tax-related procedures. All of our services are available at a competitive price, letting us always deliver the best possible tax management services in Mitcham. Preparing and filling tax returns for your company is no easy feat, as you have to ensure everything is not only accurate, but also submitted within the deadline set by HMRC, as the alternative is a tax return penalty. With a professional company like PolAccount LTD, you can be sure that not only will your penalties be minimised, but the tax savings you’ll received will also be maximised. 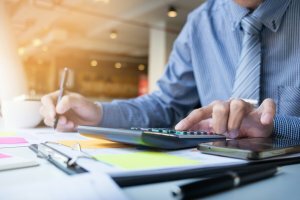 Thanks to PolAccount LTD, you can be certain that your tax returns are handled by some of the most experienced accountants in Mitcham. Closely familiar with all tax return issues, the company offers a fantastic service for a reasonable price. Even if you run a small business, there is always a possibility that your turnover will go over the current VAT threshold. In that event, you must register your company for VAT. A professional accounting company like PolAccount can help you ensure that all of your VAT-related formalities are handled well. You can count on us to submit your VAT return to the HMRC every quarter on time, ensuring that you are always compliant with the current VAT regulations. We offer some of the best organised VAT return services in Mitcham, so you can be sure your business is in good hands. Bookkeeping is a central element of every company. Its proper functioning is what determines whether your business manages to stay afloat amongst the competition. With PolAccount LTD, you can count on some of the most professional bookkeeping services available in Mitcham. Thanks to our incredibly skilled accountants, all your bookkeeping, management reporting, and other related issues will be handled with extreme care and attention to detail, ensuring top quality Mitcham bookkeeping.